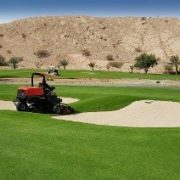 Jacobsen, a Textron Golf brand, is making waves in Oman, with equipment being exclusively installed at three out of four golf clubs in Muscat, the capital. With less than 1000 registered golfers in the country, competition is fierce to attract golfers to any one course. 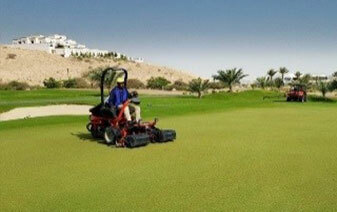 Ghala Golf Club was founded in 1971, and moved to its current site in the 1990’s. It has historically been a sand course, but it was transformed into a grass course in 2010 and is now used as the main training facility for the Oman national golf team, with many of its members learning the game at Ghala. Russell Wilson has been the superintendent at the club for one and a half years after moving to the Middle East from Portugal in 2016. He says that recent investments have been made into the landscaping of the course; a new driving range has been built and new bunkers created, which has been carried out by the Dellanzo Group. “At Ghala Golf Club, we have made a lot of investments to improve the quality of the golf course and to attract people to play here,” Russel said. “I have inherited a fleet of Jacobsen equipment after using another brand of machinery at my previous club in Portugal. I must say that I am very impressed with the quality and the reliability of the machinery. 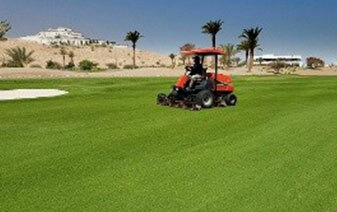 The grass grows for 12 months of the year in Oman, so the machinery gets a lot of use which means that it needs to be durable and it needs to perform consistently. Speaking to the other local superintendents, it seems that this is a large part of the decisions being made by clubs to purchase Jacobsen machinery. 3 x Truckster utility vehicle (one with Jacobsen SprayTek). Best piece of advice: Try to get experience of both warm season and cool season grasses, and it will open a world of opportunities for you. Ras al Hamra Golf Club, also known as PDO, was opened as a sand course in 1969 exclusively for the oil and gas workers of Petroleum Development Oman (PDO). 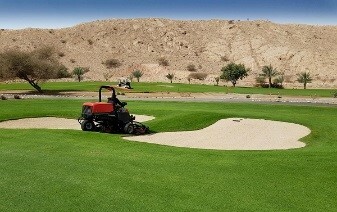 The course is one of the oldest in the Middle East and underwent re-development in 2011, transforming it from a sand course into a grass course designed by Graham Marsh. 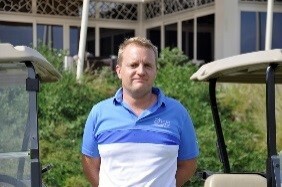 Brett Merrell has been the general manager at the club for six months, and was previously the superintendent having worked on the course as Clients Representative for the re-development in 2011. Ras al Hamra Golf Club hosts one of the oldest events in the Middle East, the Muscat Open, for 43 of the 45 years it has been running. 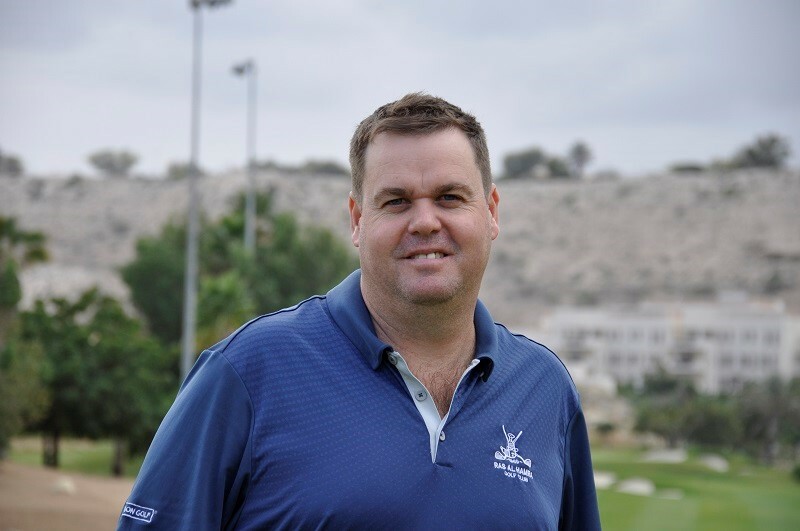 “We are very proud of hosting the Muscat Open at Ras al Hamra Golf Club,” Brett said. “Part of the success of hosting the competition is the fantastic team we have working on the course, and the support that we receive from Jacobsen. The back-up and reliability of machinery is key for us out here, and that’s where we have been really pleased with the machinery we have invested in throughout the years. Stay true to your beliefs and you will go a long way in this industry.